Our curriculum includes nine Advanced Placement classes in math, science, English, and social studies, all of which are open to any interested students who have passed the prerequisites. 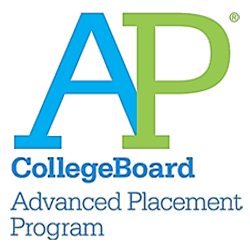 The curriculum includes Advanced Placement classes in math, science, English, social studies, and computer science, all of which are open to any interested students who have passed the prerequisites. The goal: every student will experience at least one AP class during four years at Sci High, and, on average, the current senior class is exceeding that expectation. Of 105 seniors, 78% are taking at least one AP class, and 55% will graduate with two or more AP credits. The results of the Sci High AP program are the best of any of the open-admission schools in Orleans Parish.